LG Fridge displays the Er FR fault code? The LG refrigerator Er FR error code on the refrigerator’s display mainly indicates an abnormality with the refrigerator’s fan motor. This can be caused by a faulty refrigerator fan motor, wiring issue, or a faulty control board (PCB). 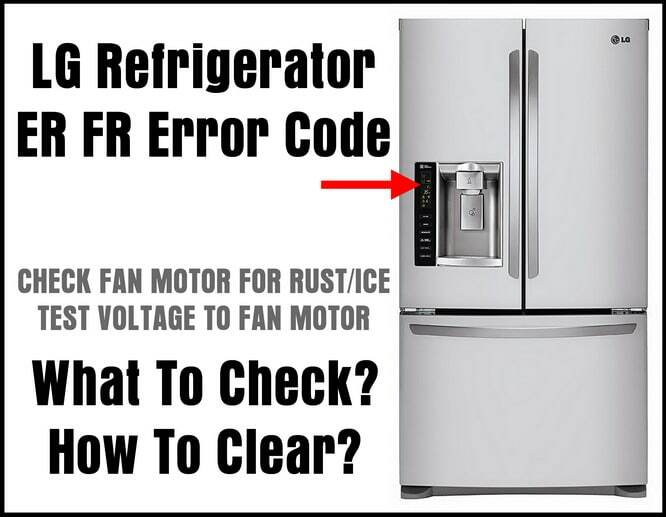 Below we will show you what to check and test to fix the ER FR error code on your LG refrigerator. How To Troubleshoot Your LG Refrigerator With ER FR Error Displayed? 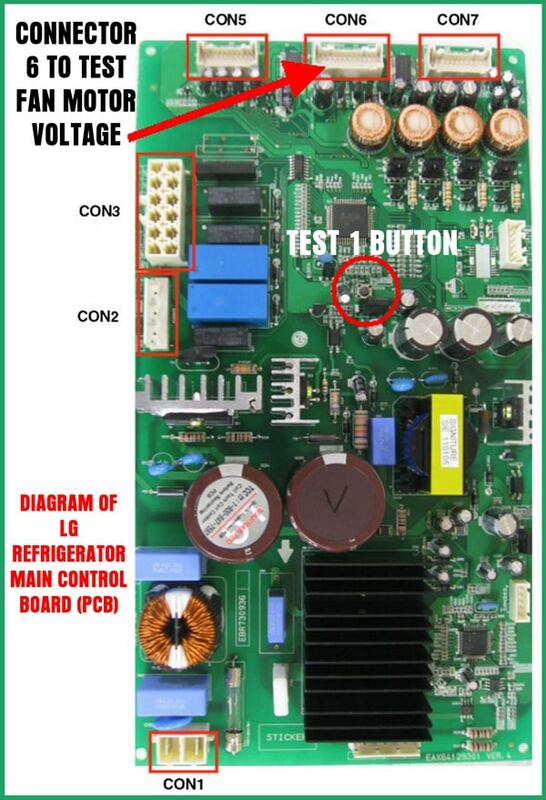 NOTE: The Main Control Board PCB, is located at the back of your refrigerator. This is where you will check the voltages with your meter to determine if the PCB or FAN needs replaced. BEST PRACTICE: If you determine the Main Control Board PCB to be faulty and you install a new one: After installing it and the fridge is set to be tested, leave the fridge on overnight with a slightly colder setting to be absolutely sure the ER RF error message does not display again. Previous post: Frigidaire Refrigerator Error Code SY CE – How To Clear The Fault Code?